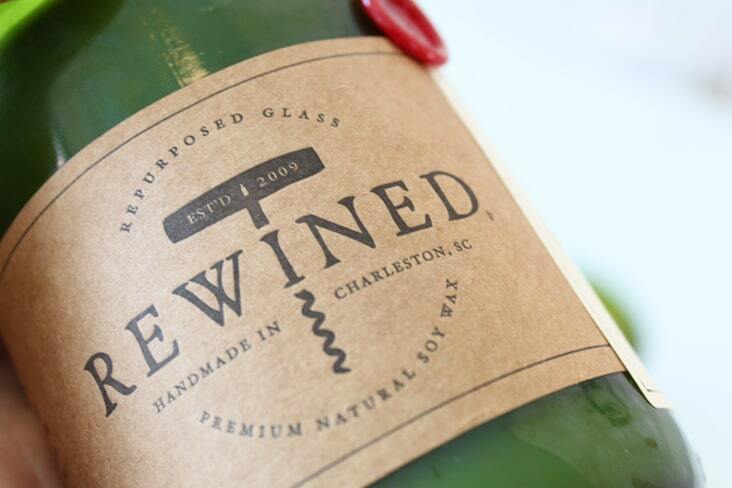 Rewined « Stitch Design Co.
Rewined Candles are smart, smell great and now have a brand new logo and packaging. 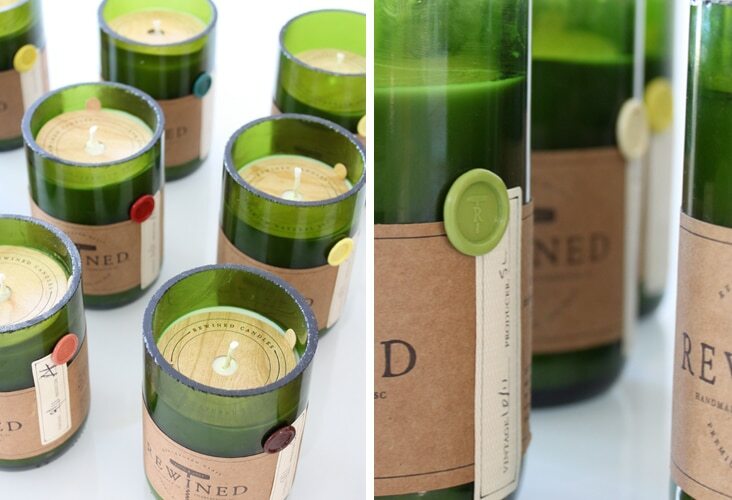 These handsome candles are all natural soy wax candles poured into discarded wine bottles. 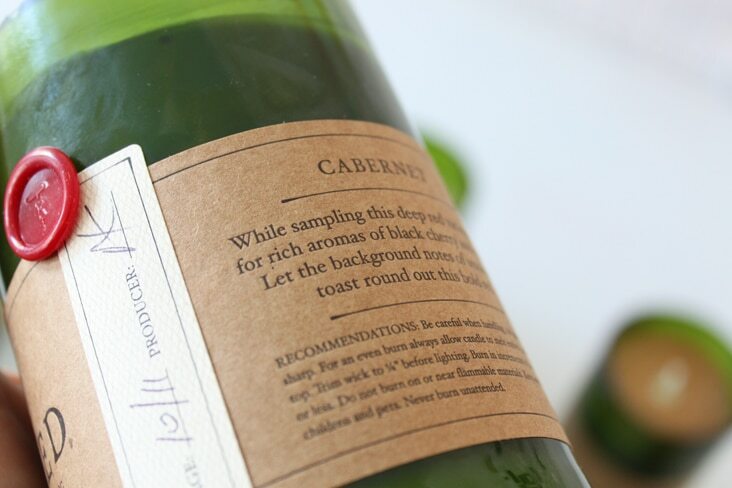 They have a family of intoxicating scents which are all designed to mimic flavors and aromas you find in your favorite varietals of wines. Adam came to us looking to enhance his current packaging. 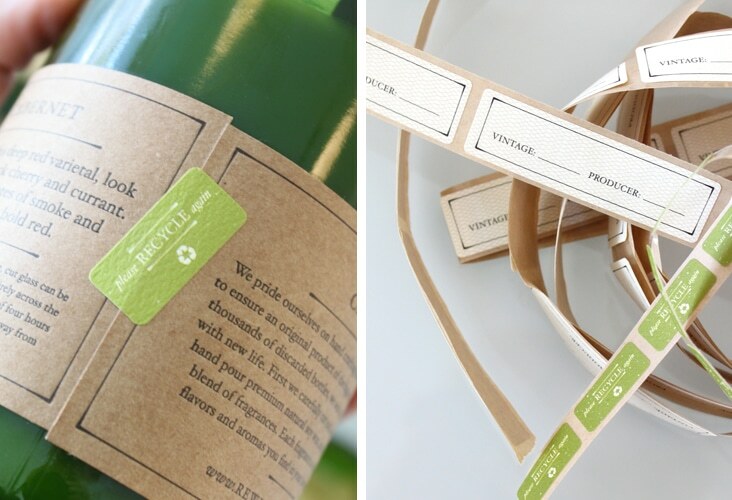 We redesigned his logo using hand-drawn type and redesigned his kraft paper labels with simple typography and a layered labeling system. 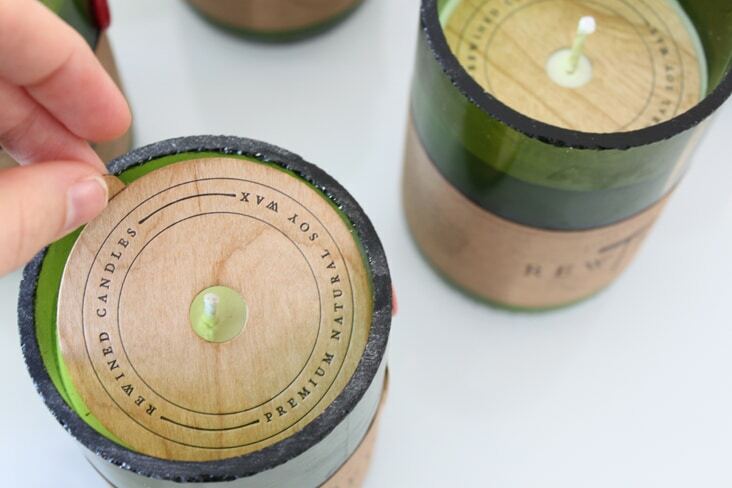 Each candle has a “vintage and producer” label, allowing each candle to be signed and dated by the candle maker. A wood veneer wax topper sits on top of the candle to keep them clean and free of dust before use. 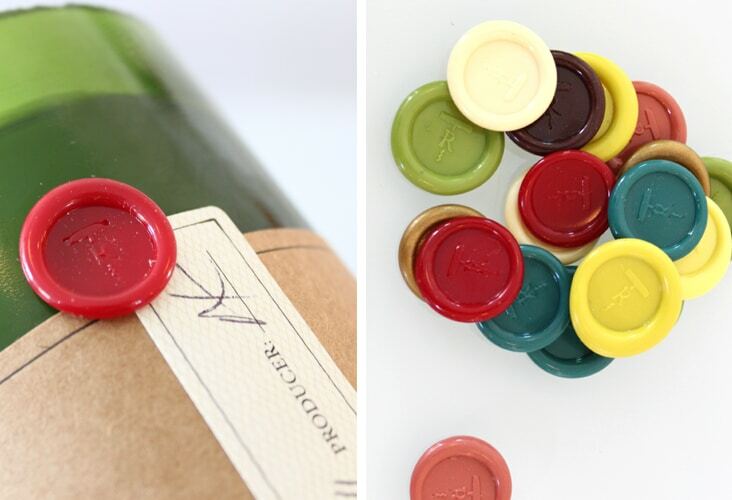 We also developed a color system using wax seals to color code each varietal scent and finished off the packaging with a small green sticker reminding each purchaser to please recycle again. 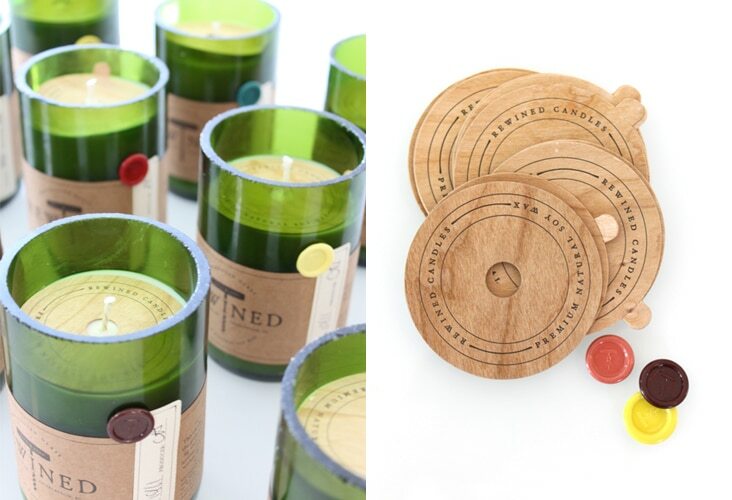 To top it all off, each label was letterpressed (by Sideshow Press) and hand applied making these candles truly unique and handcrafted. Yes! Gorgeous. The wood-veneer cover is a nice touch. These are lovely….where can we buy them?? Thank you! You can purchase the candles online at http://www.rewinedcandles.com/. You’ll also find a list of retailers on their site as well! Beautiful and very thoughtful work. I was wondering where you had the wax seal (stickers?) produced.